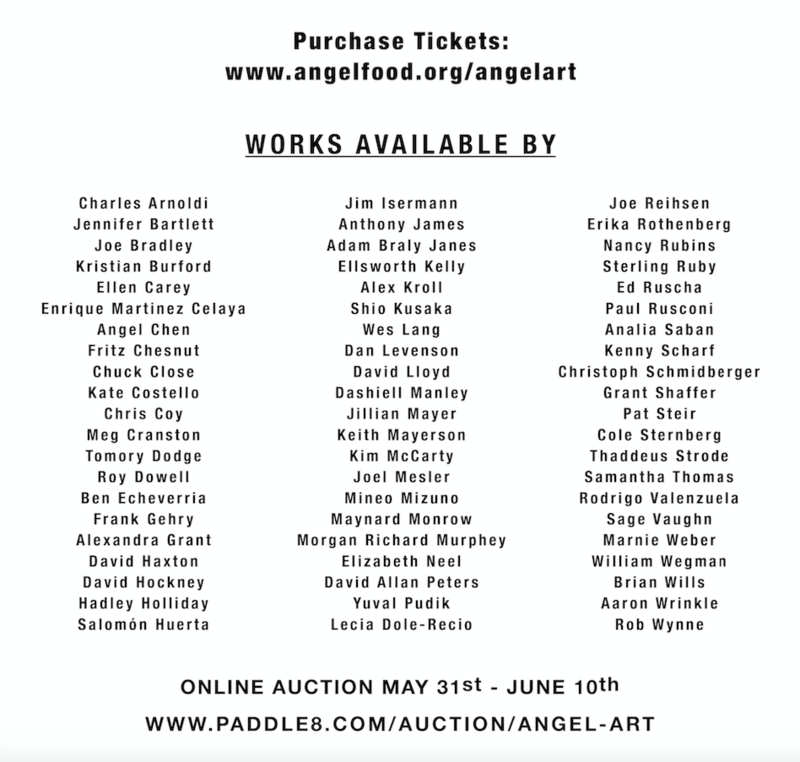 This year's Angel Art Auction features a broad collection of works from an amazing group of artists. 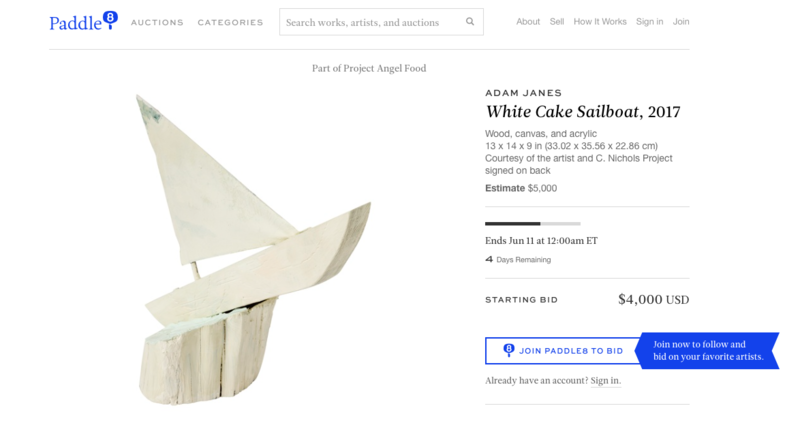 A few of our favorites are Bad Party by Fritz Chesnut and White Cake Sailboat by Adam Braly Janes, whose work is currently on view at c. nichols project. 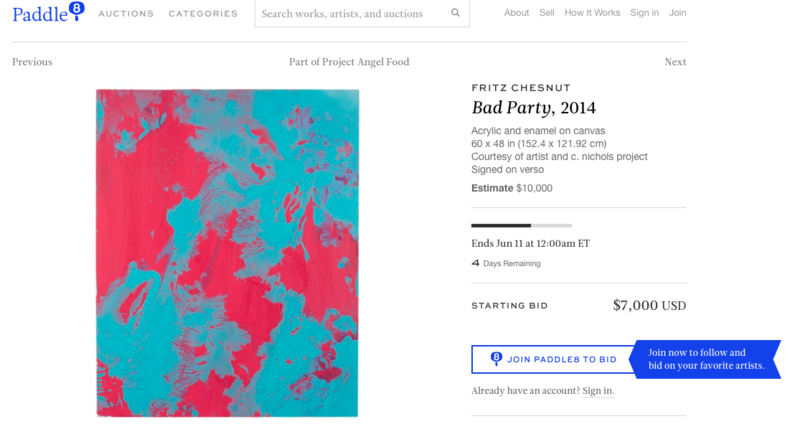 Get your bids in now on Paddle8 now! Since its establishment in 1989 Project Angel Food's mission has been to deliver nourishing meals to men, women, and children affected by HIV/AIDS and other life-threatening illnesses 10.5 million meals since its inception. Project Angel Food delivers 11,000 free, nutritious meals per week to those in need. 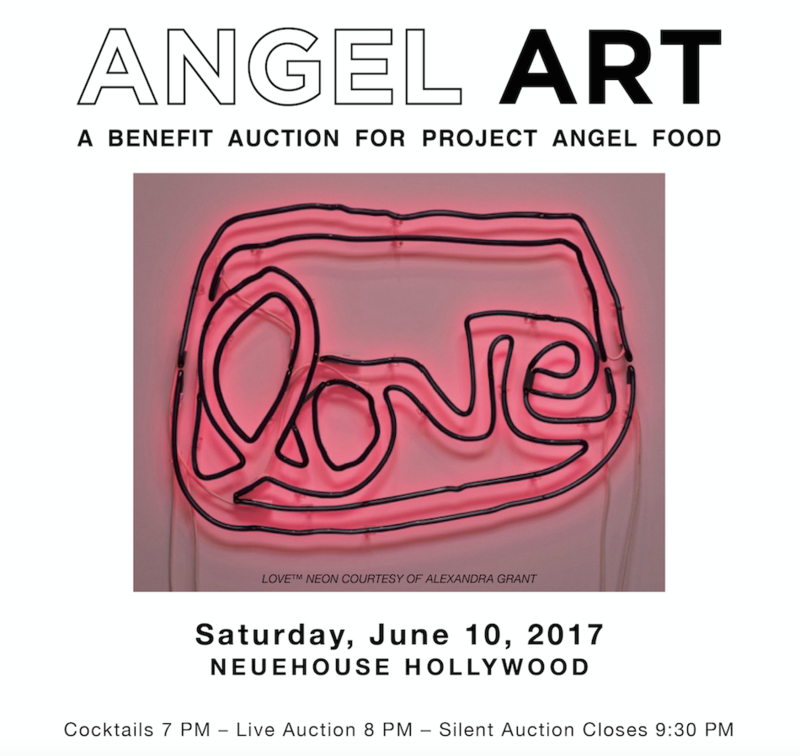 Proceeds from Angel Art will provide 60,000 meals to our most vulnerable neighbors throughout all of Los Angeles County. Get your tickets and support a truly worthy cause, feeding our community!